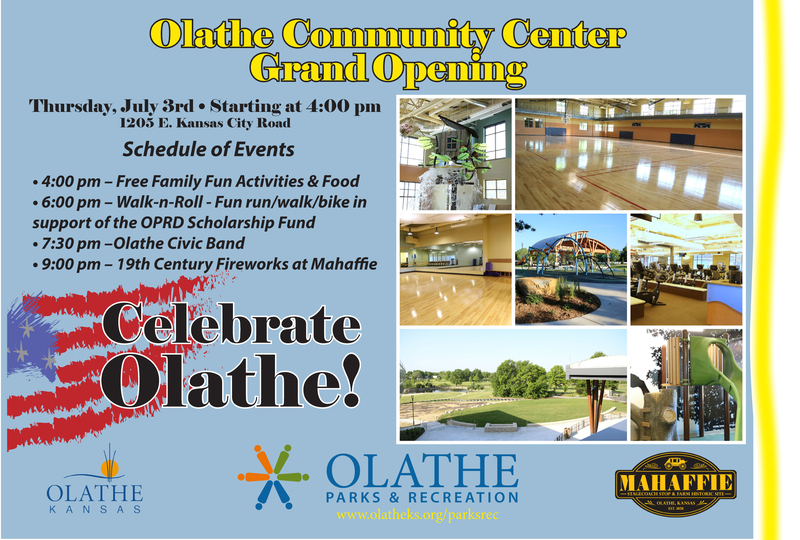 The City of Olathe, Kansas is celebrating the grand opening of their community center, and everyone's invited! There will be plenty of food, activities, demos, and more - for everyone! Olathe's Community Center Grand Opening kicks off on Thursday July 3, 2014 at 4 p.m. at 1203 E. Kansas City Road. To learn more, be sure and connect with Olathe Parks and Rec on Twitter or Facebook.